Got a handle on your digital banking security threats? Security threats continue to evolve. No attack is the same with fraudsters adapting their approaches to infiltrate the security built around many systems and platforms. Consider the “WannaCry” and “Petya” ransomware attacks early this summer. 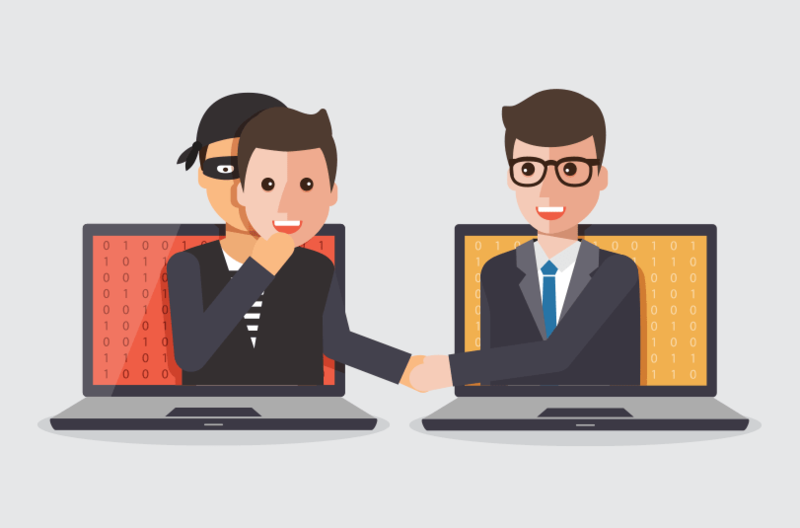 Security experts found similarities between the viruses demonstrating how fraudsters are consistently working together and leveraging their own “best practices.” With a strategic partnership and plan, we can all stay one step ahead of fraud. As of June, there were already over 800 breaches on businesses in the U.S., exposing over 10.8 million records, and no entity regardless of size or confidence is completely safe. Even companies like Google and Target have fallen victim. In fact, these numbers can only be expected to rise as long as organizations fail to invest time and money in their security efforts. Without the right security measures in place, especially a willingness by your employees to actively participate, a solid defense is questionable at best. To complicate matters, 56 percent of businesses are completely unaware of whether they have been impacted by payment fraud. Do you think your FI can successfully outmaneuver fraudsters? If you’re a financial institution (FI) worried you can’t prevent fraud against your account holders and institution, it’s time to get serious. A multilayer security approach is the first step to making sure fraudsters are stopped in their tracks. One line of defense just doesn’t cut it today. To be fully prepared, you must have many layers of defense ready. Behavioral analytics are a great place to start for, helping prevent fraud before it even happens. A potential hacker can be quickly identified by tracking account holder behavior. Any odd behavior, such as unusual login locations or times can be flagged, and researched almost instantly. Proactive security by staff is your first line. Aside from the advantages of behavioral analytics, you must educate your staff and account holders about the social engineering techniques cybercriminals use. Seventy-four percent of finance professionals report that their organizations were victims of business email compromise in 2016. That’s a 10 percent point increase from 2015 and can be largely attributed to a lack of security knowledge within their organization. If your employees can identify social engineering tactics such as a suspect email or phishing phone call, they can then help prevent fraudsters from accessing private information. Similarly, account holders with the right education and tools can protect themselves from suspicious activity. While security threats should be taken seriously, they shouldn’t leave you wide awake at night, worried about the loss of account holders’ data and dollars. The technology and training exist to help keep fraudsters at bay. For more information on how your FI can balance cybersecurity with compliance, download this Q2 handbook, or give us a call today for your free consultation.